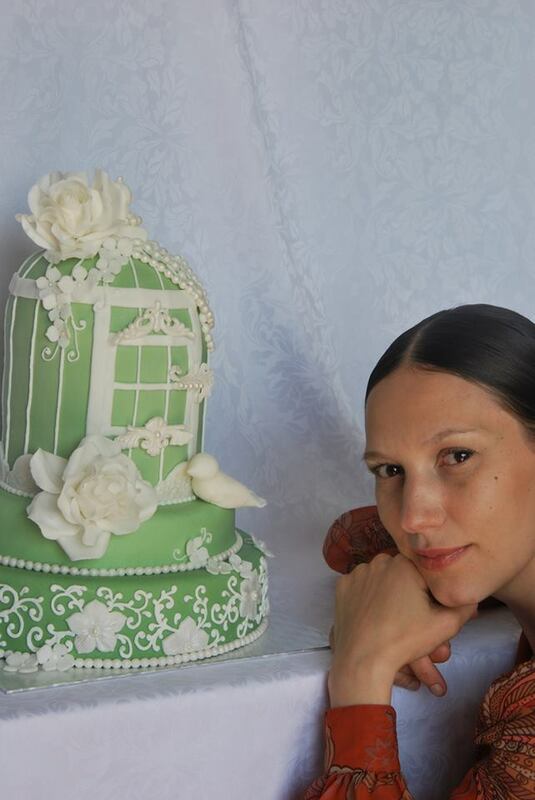 Victoria Mkhitaryan – pastry designer, dessert table decorator in Prague. 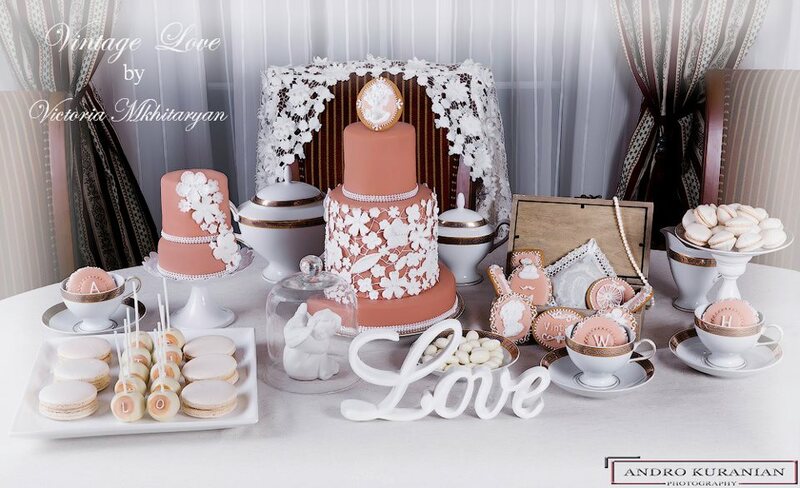 One of my friends, photographer Andriy Kunka, showed me his beautiful photographic works, and on one of them I saw an amazing and simply magical dessert table. 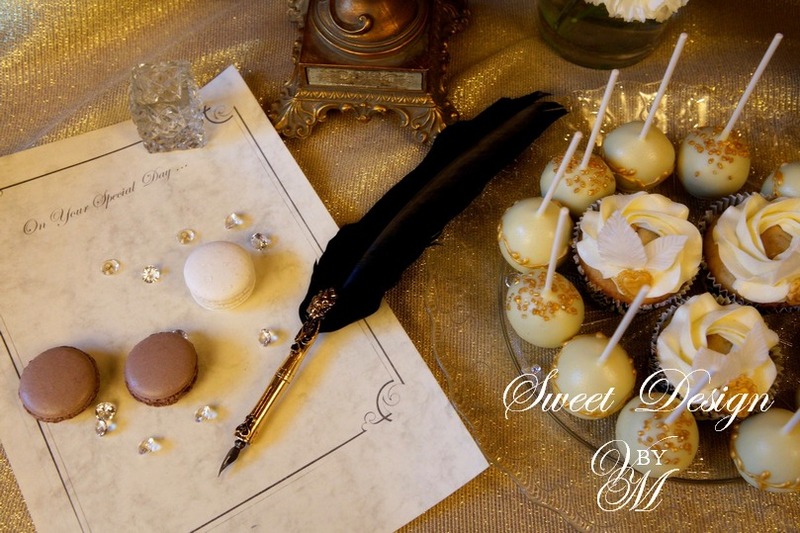 I was really impressed with the sweets on this dessert table that I certainly wanted to know more about the creator of these exquisite products. 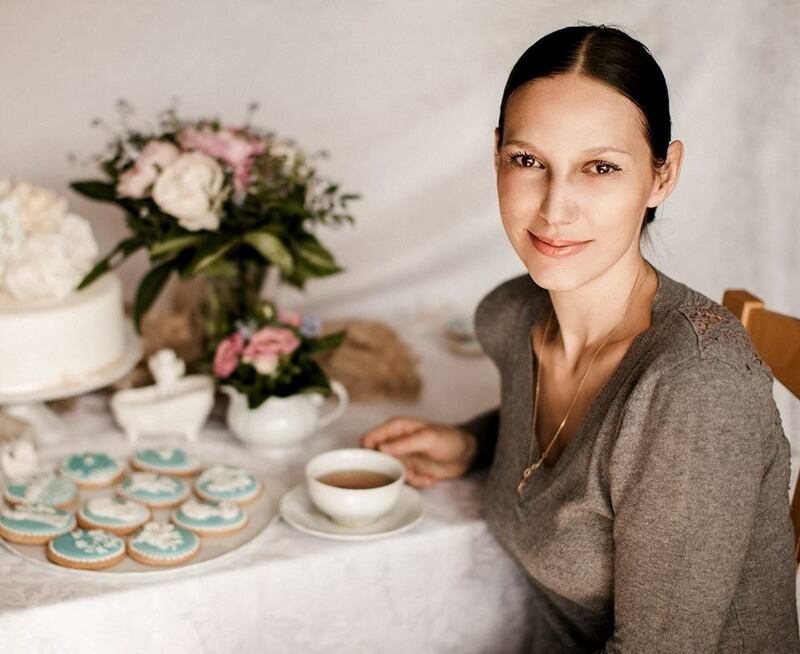 So I met sweets-designer Victoria Mkhitaryan, mother of 3 sons and loving wife. Victoria was born in Krasnodar, but lives with her family already six years in Prague. 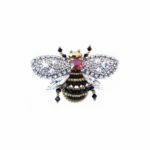 Victoria was so kind to give me an interview about her work as a designer and pastry chef and about how she came to this creativity. Victoria, what is your regular profession according to your education? What are your other skills and talents? I graduated KSPU, Faculty of Foreign Languages, worked in advertising. I started as manager in a large advertising company, then became a leading manager, was engaged in PR. Then I had my own business together with my husband. I was engaged in advertising, PR, working with staff. Also I led my column in a magazine about classic men’s fashion and organized fashion shows. How did you come to your profession pastry designer? Where did you get this qualification? Design skills have manifested by me previously, but first opened in the Czech Republic and in a sufficiently unusual and new way. It all started very simply, I decided to bake Czech Christmas gingerbread, which is sold at Christmas markets. Thus I began to look for ideas and saw a picture of a gingerbread box that affected my consciousness. Without knowing how to do it, just with female intuition in the same breath I made my first painted gingerbread box (never had made it before). 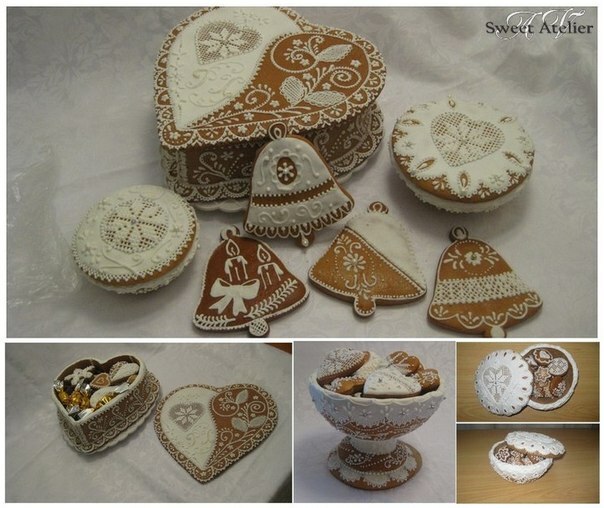 From my first gingerbread box (heart-shaped), I was, to be honest, in shock, because I could not explain how I did it. And I began to bake and paint boxes, vases, cakes, gingerbread which I then gave away to my friends. But my ideas exceeded the number of my friends ). Necessity to decorate was growing, I had a lot of ideas, and so I had to do something with my creations. My husband suggested me an idea to bake cakes to order. My reaction on this suggestion was very skeptical at first. Nevertheless I did some research in the Internet what is going on in the world in this area and I came across the dessert tables. Thus I realized that is it – the right thing in my life! 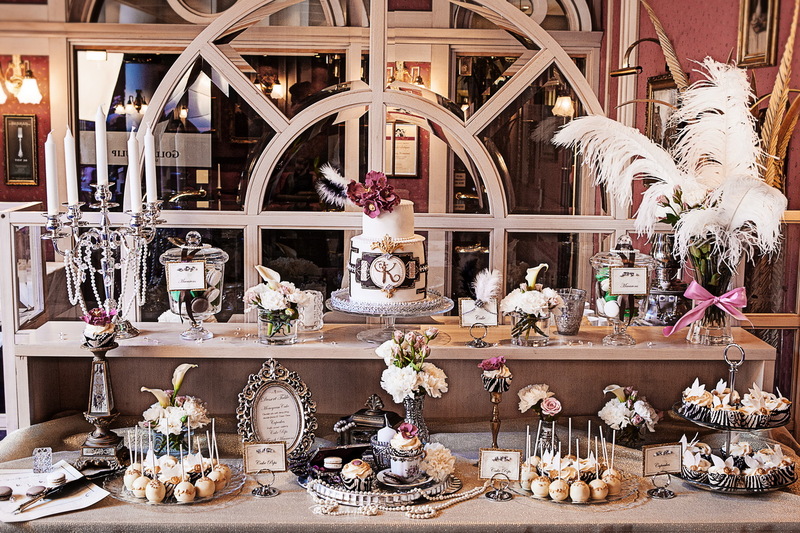 My first dessert tables I made for photo shoots. I invited professional photographers to take pictures of them, which were fairly new in the photography area. My “sweet career” began to develop very rapidly. My working capacity was “crazy” and the patience of my children and husband was angelic. 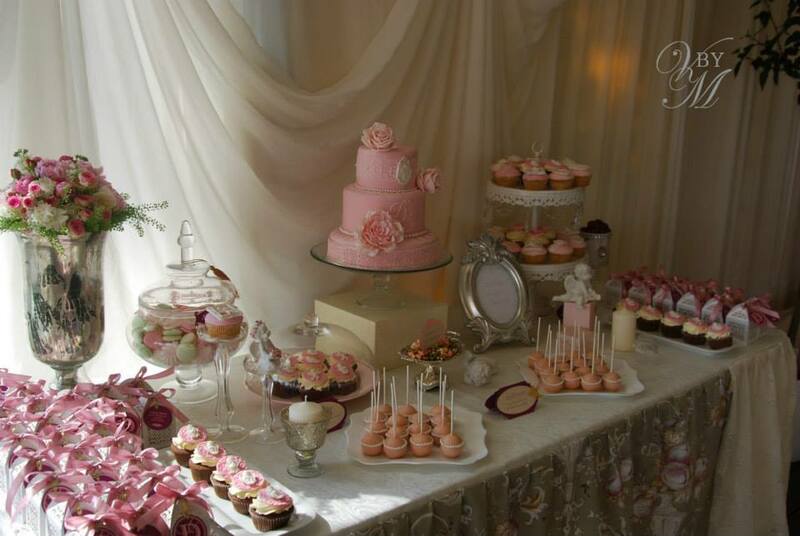 After Christmas in April last year I made the first “real” dessert table for a wedding. 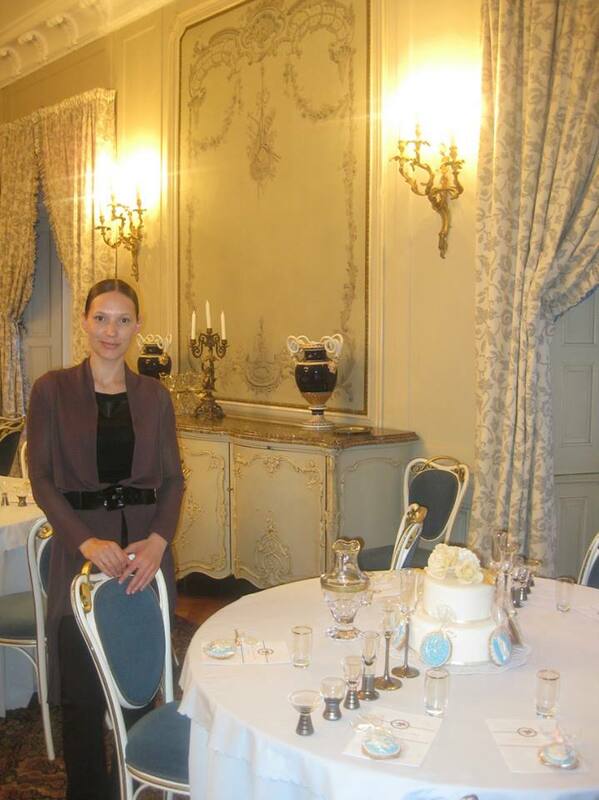 In May I made out a diplomatic reception for the First Lady of the Czech Republic, where my painted cookies were presented to diplomats and their wives. Later the Czech glossy magazine «ONE» published about me. Then I had a busy wedding season. I’ve done what I never did and never learned before, by some inner inspiration. So my Gallery was filled with lots of cakes and sweets in a few months. When the season ended and I had more time, I decided that I need to become a certified pastry chef and decorator, and it meant – learning! 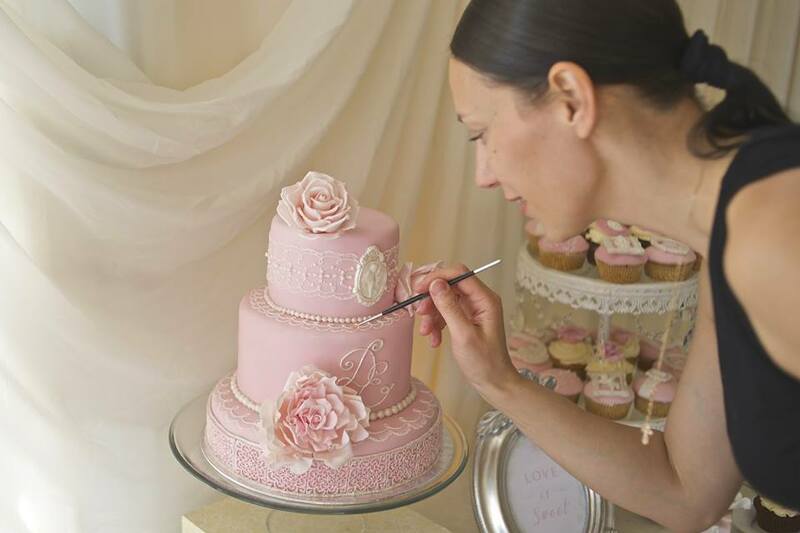 I thought a little what exactly to learn and where and I decided to go to the founders of the art “Royal icing”, with which I started in London. 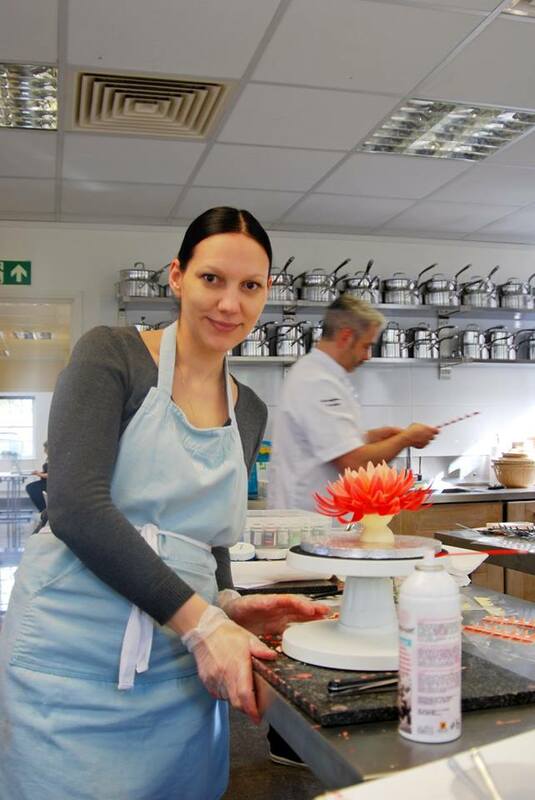 In autumn and winter I attended 2 courses by the world’s most famous decorators in Squires Kitchen International School and I hope this is not the end of my professional development. What kinds of products are included in your range? Cakes, cupcakes, cake pops, makarons, painted cookies. 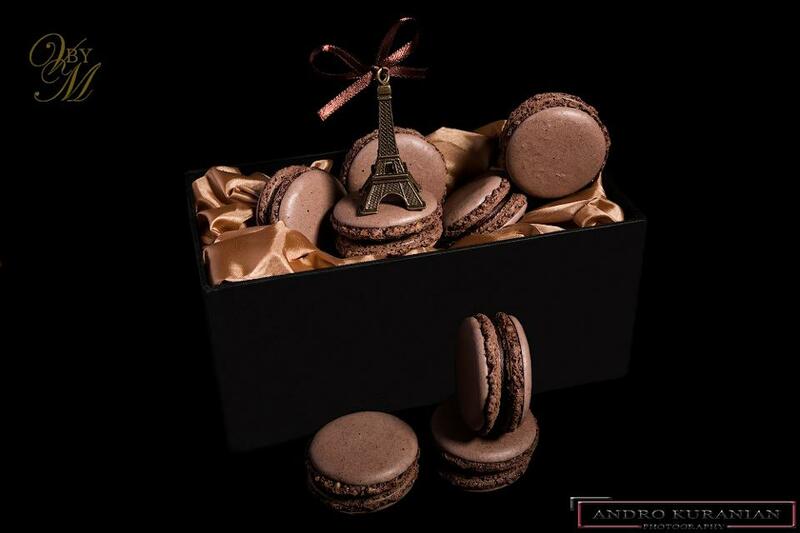 Which desserts do you like to create with especially great pleasure and why? I like to create the dessert tables. They show my creative (artistic) abilities. 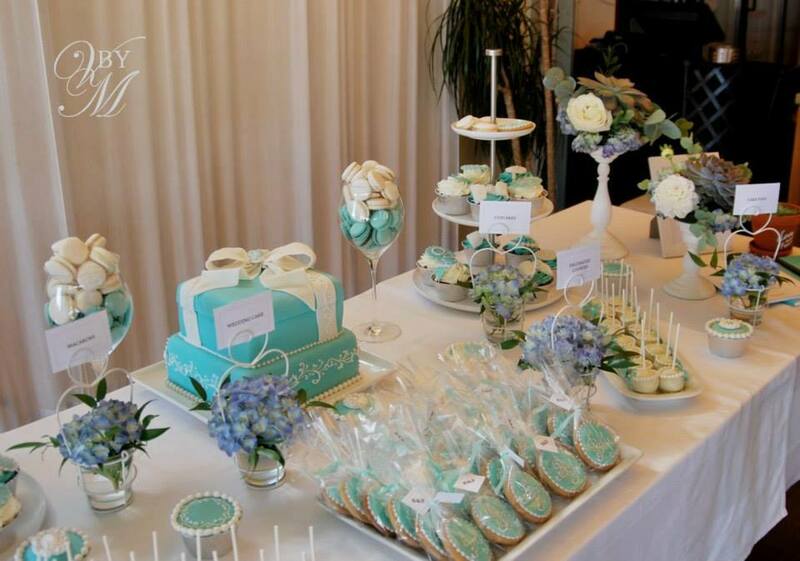 In design of each dessert table I try to embody a certain idea by shape and color. I pick up every detail to the table for the reason not to make it just a table with a set of sweets, but fulfill it with beauty and harmony. 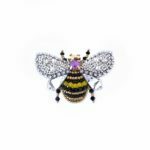 How does the process of creating your baking art happen? This question is the most difficult to answer. How? Mysteriously )). Sometimes I carry one design in my head for a few weeks, draw it, and when I begin to work my hands start to do something else entirely. So my work with clients is based on complete trust to me. How do you come to your motives and ideas of one or another pastry? Ideas come from everywhere. I look through a lot of works of confectioners from all over the world, thus I learn new techniques and methods. Sometimes on the basis of another confectioner’s idea my own one could be created. I belief that the ability to create own ideas comes only with an extensive experience and knowledge. A source of inspiration can be anything – an architectural curl or a piece of tissue. 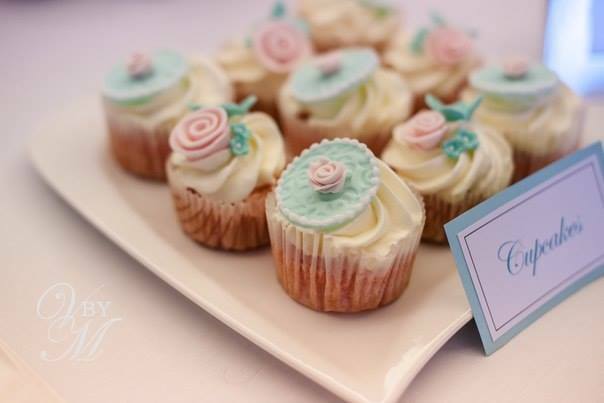 Do you have your own shop, boutique or online shop where customers can spontaneously buy your sweets? Or do you make them only to order? I work only to order and mostly as a freelance artist and I hope it will remain this way. I make just orders that I like, and work only with those people with whom I feel comfortable. 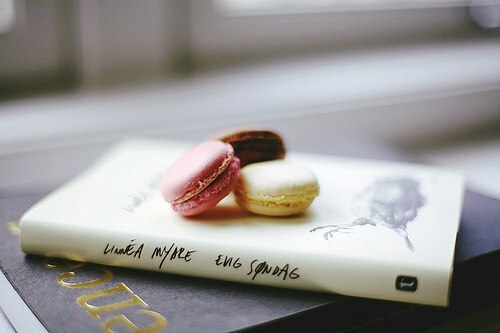 My sweets will never be sold in the shop, because each of them contains its own history, soul and a part of my life. And I am very glad that more and more customers, which turn to me, feel it and relate to my work with complete trust. 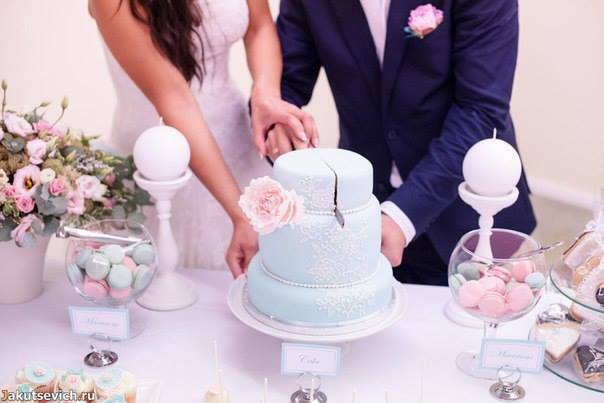 How does the order process for your dessert tables function? I meet the client and discuss with him or her all the details of the event. I have no slogans) I just try to do my best in that sphere in which I am currently working. So I aspire to what I create has beauty. What is your dream and what are your plans for the professional future? I have no plans, as yet “yesterday” I did not know that I can do such things, the more I do not know what will happen tomorrow)). 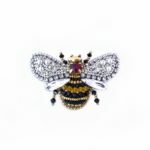 Victoria’s dreams come true, she opened her creative talents and made her hobby to profession. And you can taste the sweets and pastries of Victoria, because she makes them to order all over Europe, and maybe even over the world ;). Free translation from the original interview in the Russian language, here.